Oscar Pistorius will have to wait four days for his sentencing for the culpable homicide of his girlfriend Reeva Steenkamp. "We will reconvene on Tuesday next week, the 21st, at 9.30." 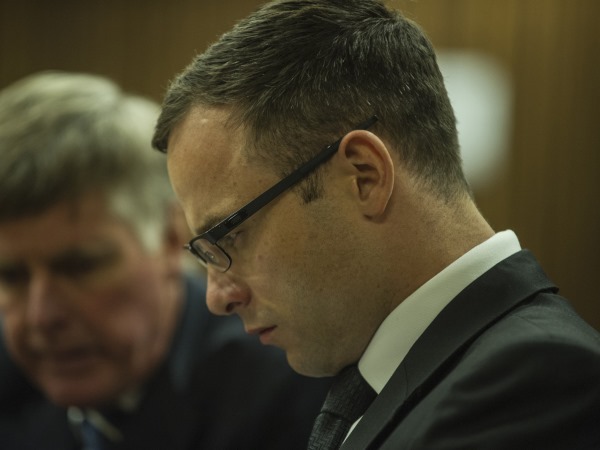 Prosecutor Gerrie Nel and Barry Roux, SC for Pistorius, concluded their closing arguments shortly after noon on Friday. On September 12, Pistorius was convicted of culpable homicide for the Valentine's Day 2013 shooting of his girlfriend Reeva Steenkamp in his Pretoria townhouse. The court found him not guilty of murdering Steenkamp. Pistorius shot Steenkamp through the locked door of the toilet, apparently thinking she was an intruder about to emerge and attack him. She was hit in the hip, arm, and head. Pistorius was found guilty of firing a pistol under a table at Tasha's restaurant in Johannesburg in January 2013. He was found not guilty of shooting through the open sunroof of a car in Modderfontein on September 30, 2012, and of the illegal possession of ammunition.